As the oily skin is prone to acne problems, when applying makeup you will have to make sure that you try to reduce the acne effect. Make sure that the products you use won’t clog the pores, as this will lead to more blackheads and pimples. In addition, it is better to choose those products, which don’t have oil, as settling more and more oil on an oily skin will have adverse effects. Therefore, you should select the oil free products. Before applying foundation, it is necessary that you cleanse your face properly with a good face-wash. Select one that is gel based and not a cream based product. Cream based face-wash might leave the cream on the face, which will attract more dirt and germs, thus leading to untidy skin. After you have washed your face with a good cleanser, let it dry properly. After it has dried out apply oil free moisturizer. Select the one that can protect you from the sunrays too. Next is the foundation. Select water-based foundation or powder-based foundation. Never select cream based foundation. You can also select the foundation with matte effect. Apply foundation with the help of brush and not with the fingers. The shade of foundation should be two tones lighter than the skin tone. On the oily skin, makeup doesn’t remains for long time. The effect of foundation will reduce as and when time passes by. If you want that, the shiny effect of foundation remains than dab some loose powder on the face after applying the foundation. Makeup on the eyes would also never remain for a long time on oily skin. So, apply some foundation or powder on the eyes before applying the eye makeup. Powder based eye shadows should be selected and not the cream based ones. Colors can be selected according your choice. For mascara, it’s the same stuff. Due to oily skin, effect of the makeup could not be seen after some hours. Therefore, some powder should be dabbed on the lashes before you apply mascara. 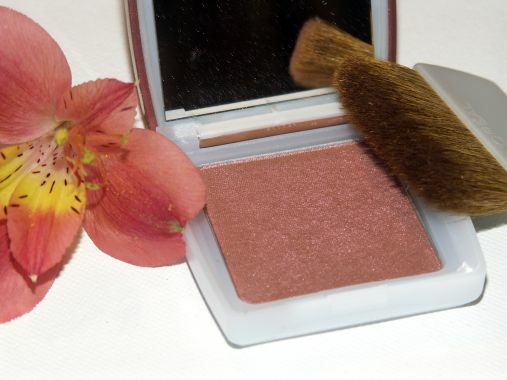 Powder-based blush that is oil-free should be picked. Cream-based and liquid-based ones should be avoided. Apply little blush using blusher and not with fingers. Lighter shade of blush should be selected and should be applied lightly on the cheeks. For lips choose lipsticks and lip liners as you choose for the normal skin. You can also select the glossy lipstick but make sure that the shade you select should be light as the oily skin reflects much shine. Except for the above points one thing to be kept in mind is that the makeup on oily skin doesn’t remain for much time. Therefore, you should carry powder to dab when you think its time to do a touch-up. In addition, you can carry tissues or blotting paper to remove excess oil from the face. Avoid choosing the makeup items, which contains alcohol or chemicals, as they tend to increase the oil content. Use of mineral makeup products is recommended. Even if you have oily skin, you will have great looks with the help of the makeup, all you need to do is choose the products carefully.